We give you choices of many FedEx options or United States Postal Service Priority Mail. You have the choice of Ground, Overnight, Second Day Air or 3 Day Select. Orders must be received by 1pm for the chance that it is shipped on the same day. 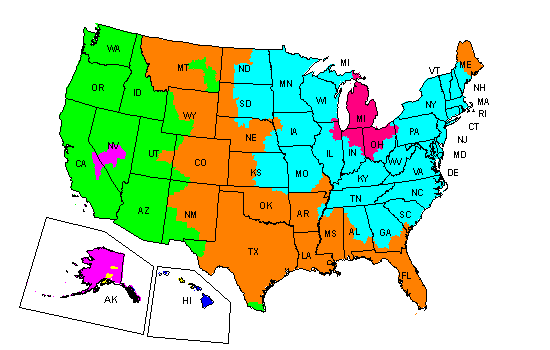 The map below shows the estimated transit time for Ground shipping. Please note that the only guaranteed delivery methods are FedEx Overnight, FedEx Second Day Air or FedEx 3-Day Select. The rate quote on your order will indicate the amount of time that USPS estimates your package will need to arrive (e.g. Priority Mail 3-day). Please note that your order must be received by 9am for it to be sent the same day and the amount of time the USPS estimates for delivery is not a guarantee. If you have a preferred delivery date, please specify in the comments section when placing your order. While we cannot guarantee delivery on a specific date, all efforts will be made to meet your requested date of delivery.